.... In 1811, the first official history of Seventh Day Baptists was published by Henry Clarke (the same Henry Clarke who proposed the formation of the General Conference), Copies of the book are still floating around in many church libraries, and would be worth a look. If you can't find a hard copy in a location near you, copies can be found on Google Books (books.google.corn) by searching for "Clarke History of the Sabbatarians." A direct link to the Google Books copy is here. The full title, in true early 19th Century style, is A History of the Sabbatarians or Seventh Day Baptists in America, Containing Their Rise and Progress to the year 1811, with Their Leaders' Names, and Their Distinguishing Tenets. 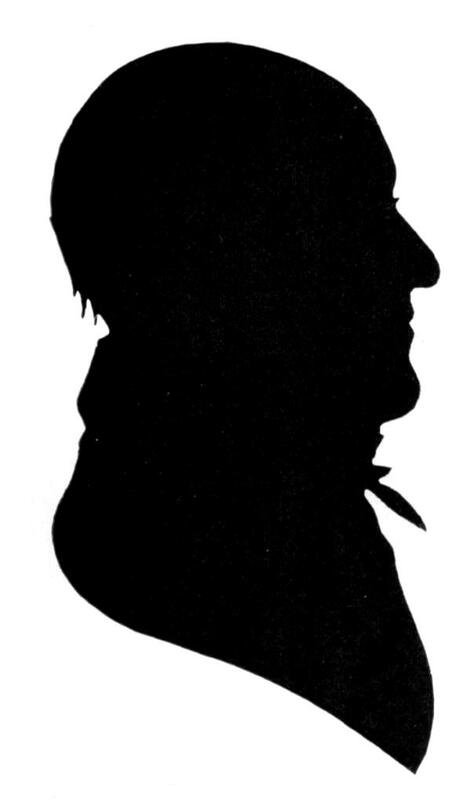 The silhouette is of the author, Rev. Clarke.